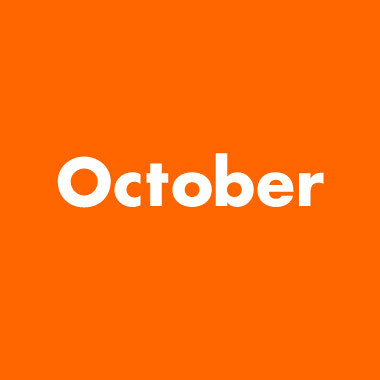 Well we are in the great month of October, which signals the beginning of October music, a mix of fun and biblical music to aid in our celebration of this great month. And Biblical tunes that express the battle we are engaged in with darkness and celebrates the victory we have in Christ. Tunes such as Shane and Shane’s “Embracing Accusations” – Keith Green’s “Dear John Letter to the Devil” – Gungor’s “The Fall” – Carman’s “Champion” – John mark McMillan’s “Skeleton Bones” – Toby Mac’s “Somebody’s Watching” and Jars of Clay’s “Good Monsters” (to “also” name a few). October Music has 126 songs and is a delight to listen to… a reminder that yes there are evil things in this world but we have the victory in Christ over anything scary or demonic.